A good one of the HEEP. and one of the TURD. Hey arti54n, you`ve had that truck for a while, still looking good I see. Ummm, can i take one of those for test drive? love the Ford too! I don`t have any with mud, although I bet I will soon made some new friends where I moved to and they like to play in the mud. Can`t wait to see what mine will do in the mud. 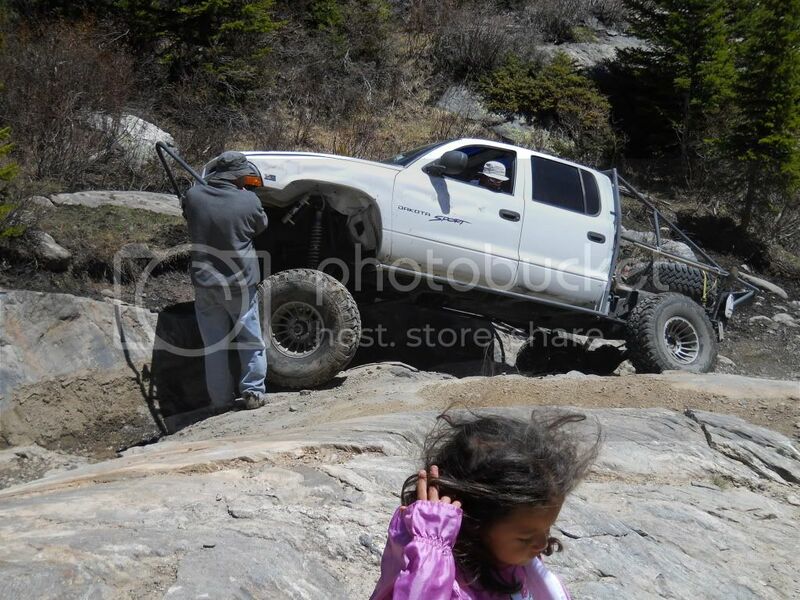 The only action pic I can find is from the DTW site when we went to Randsburg and crawled up and down this steep rock face. 04 Dodge 3500 4X4 Q/C 5.9 H.O. Turbo, Superlift 4inch front, 2inch rear, 35X12.5X17 BFG MT KM2, ViAir complete Air system, Train Horns, Rapid Hitch, 6 inch Grand Rock Pipes.